Ulysses is actually the only incorporated city in all of Grant County. It became the county seat in 1888. Grant County sits on the world-famous Hugoton gas field, which is one of the planet’s largest deposits of natural gas. The field extends over across 4,800 square miles of land. As such, our county naturally contains many offices of major gas-production companies. Average high temperatures in Ulysses reach 93 degrees Fahrenheit in July, and average low temperatures drop to 16 degrees in January. The monthly precipitation average is 1.7 inches. Annual snowfall averages 21.1 inches. There are four public schools in Ulysses, including two elementary schools with pre-school services, a middle school and a high school. The Grant County Library is also located here, offering research and entertainment to those who wish to make use of it. The nearest institutions of higher education are Oklahoma Panhandle State University, Fort Hays State University, Seward County Community College, Garden City Community College and Dodge City Community College, West Texas A&M University, Amarillo College, Colorado State University and Pueblo Community College. The Ulysses Airport has 2 runways useful for local flights and air taxi operations. 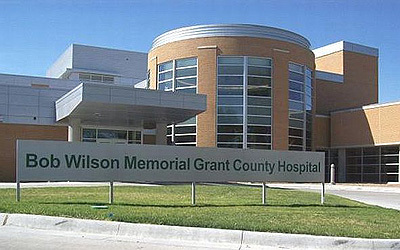 Bob Wilson Memorial Grant County Hospital serves local health-care needs. 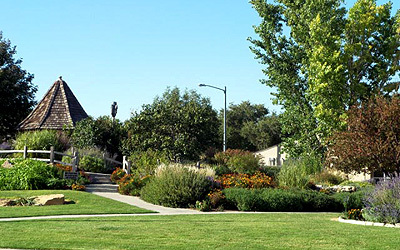 One of the best places to visit in Ulysses is 75-acre Frazier Park. It features camping facilities with RV sites, a playground, restrooms, and extensive trails for hiking as well as mountain biking. In the midst of Frazier Park, you will find the Bentwood Golf Course. Of the 18 holes found here, the front nine feature a park-style course with small push-up greens. The back nine have larger greens with more modern mounding. Three sets of tees enable this course to be played by golfers of multiple skill levels. Grant County’s Historic Adobe Museum is situated in Ulysses. It began its existence as a shop in 1938, but today it contains many historical artifacts of life on the High Plains, including rare Native American petroglyphs. Very few locations in Kansas are known to contain petroglyphs, and at least two are now inaccessible due to manmade lakes. Southwest Kansas is recognized for its excellent Pheasant Hunting reputation. Come join us for a great time hunting. This is only the beginning of what we have to offer in Ulysses. Much more awaits you in our lovely community. Contact us today for additional information on our area and the properties we currently have available. We’re confident that we can knock your socks off.